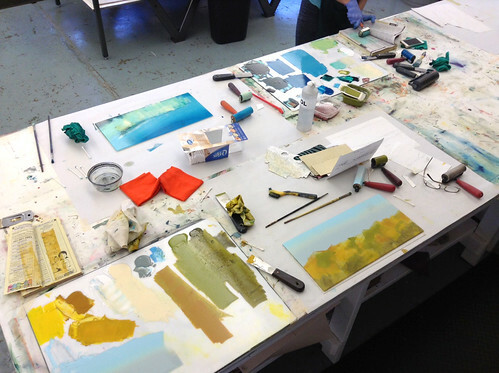 This four day intensive immersion into the art of monotypes and monoprint techniques is a perfect retreat for beginning and intermediate printmaking students. Focusing on the landscape of eastern Oregon, specifically the plateau region, workshop participants will study color theory, hone skills in ink modification and mixing, learn control over ink films, paper properties and proper handling techniques, printing techniques and various registration methods. Participants will work toward developing a sophisticated body of experimental yet refined, unique one-of-a-kind prints in the beautiful Crows Shadow Institute of the Arts printshop.